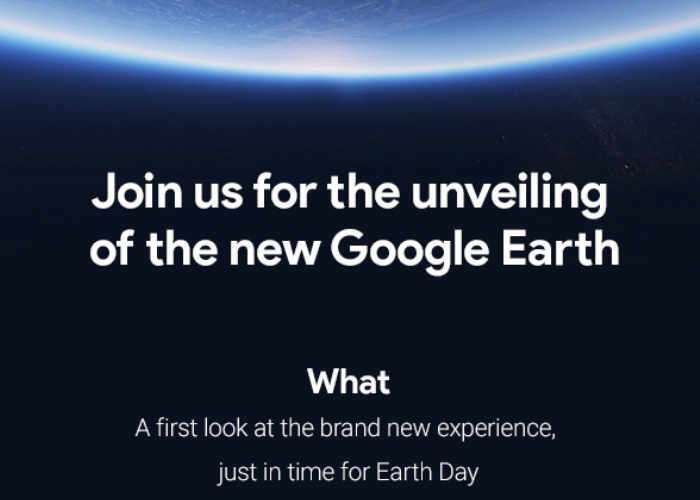 Google has today announced that it will be unveiling its new Google Earth experience next week on April 18th, 8:30 AM ET at New York’s Whitney Museum of Art. Google Earth was first launched over 15 years ago on June 11, 2001 and offers a virtual globe, map and geographical information program that was originally called EarthViewer 3D. As more information is announced on April 18th we will keep you up-to-date as always, let’s hope it’s something good.